Aside from my family, Drew Brees, and my work in education, I have another great passion - photography. I fell in love with cameras and editing photos when I first set foot in a darkroom in high school. Up until that point, I would look at a picture and judge its impact based on my own personal interest or something of beauty that I saw in the photo. After nearly two decades of refining my skill set in the field of photography, I’ve learned that the photos that leave the greatest impression on the viewer actually follow very technical photography rules. A talented artist, like a talented teacher, brings much more than technical skills to their craft, but for a teacher just beginning their journey in say, a personalized learning approach to teaching, the technical skills can be instrumental in creating a classroom that leaves an impression on its students. Enter composition. Photographers use the term composition to refer to the way the visual elements or ingredients of a picture are arranged to create a work of art. There are several rules of composition, but the three most common rules for photography beginners are to decide on the center of visual interest, use the background to draw focus to the subject, and fill the frame visually. Personalized learning is no different. I previously wrote about what personalized learning is not. Using the tenets of composition, you can begin to ask three questions that will help you determine what personalized learning IS. 1. What is your "center"? A great photographer tells a story with each photo by first identifying the center of visual interest and composing around that. With a personalized learning model, students are the center, and a teacher actively decides to compose instruction around them. Personalized learning, in its truest definition, occurs when a teacher tailors his or her instruction around the wants and needs of students. 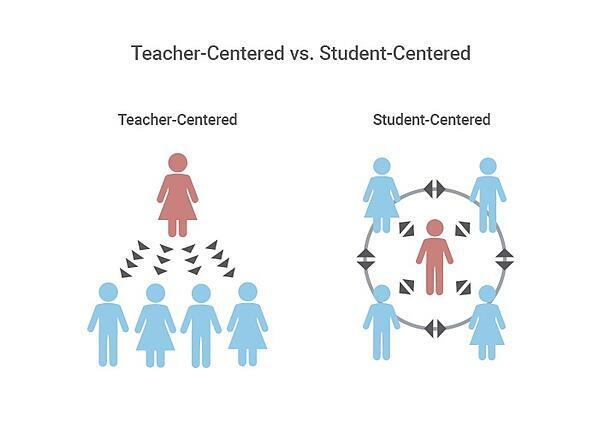 Students, rather than teachers, are at the center of the instruction. Student data, student ownership, student reflection, student choice are all components of a personalized learning classroom. The common ingredient? Students. In a personalized learning classroom, students are at the center of teacher actions, strategies, and instructional models. 2. How can you use the background to "draw focus"? Photographers will often use the background to draw focus to their subject. This can be done in a variety of ways. Perhaps the background theme complements the subject. Perhaps the background components blend together in such a way to form an out-of-focus blur while drawing the viewer's eye toward the in-focus subject. 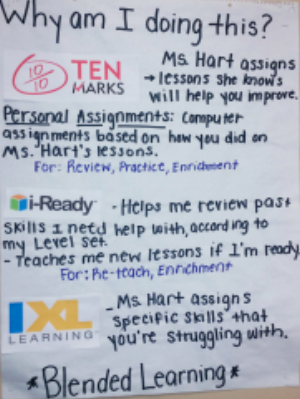 In a personalized learning classroom, the background components are the Core Four - targeted instruction, data-driven decisions, student reflection and ownership, and flexible content and tools. These components seamlessly work together to put the instructional focus where it should be - on student needs and interests. 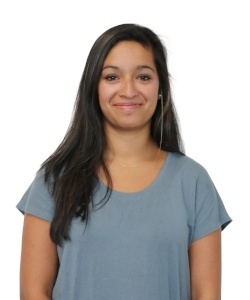 In an ideal personalized learning classroom, none of these Core Four ingredients rises above the other but rather, they function cohesively in the background as to bring focus to the subject - the student. 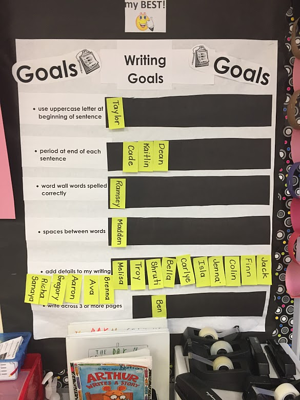 Student Reflection and Ownership - Students determine their writing goals at the beginning of the week by moving their name to their goal. Students reflect on their progress toward their self-selected goal by the end of the week. Flexible Content and Tools - In this example, the teacher shows students why certain digital content providers are being utilized. Students understand that the work they do online is correlated to the work that they complete offline. 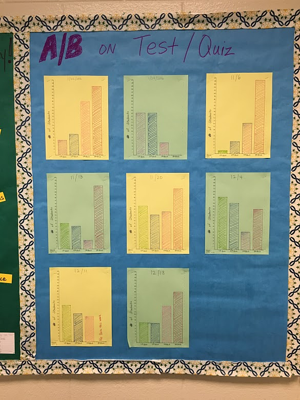 Data-Driven Decisions - In this example, students own their own data and tracking and complete a bar graph chart to measure and track their progress. The teacher uses this information to inform both whole group direct instruction and small group targeted instruction. 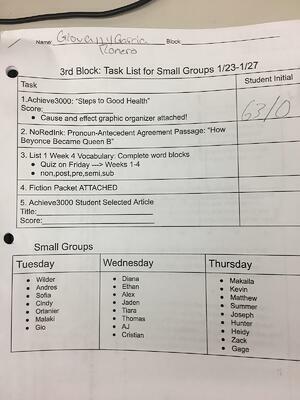 Targeted Instruction - In this example, the teacher provides a sheet at the beginning of the week with student small groups and activities. Based on data from a Do Now or previous day’s exit slip, the teacher can begin to pull students aside for 1:1 conferencing while small groups work on this list. 3. How can you "fill the frame"? A good photograph leaves little negative space (or if there is negative space, it is chosen very deliberately to create a work of art). Photographers get close to their subjects to fill the frame of their camera. Personalized learning ideally leaves little negative space as well. It is not something that students “do” for only a portion of their class and subsequently return to whole group instruction. It requires teachers to get close to their subjects - the students. What are their needs? Interests? Questions? The Core Four of personalized learning and strategies that lead to more tailored instruction permeate through a truly student-centered classroom. Check out how teachers can select an instructional model that fills the classroom with personalized learning in both the elementary and secondary grades. All I needed to begin my journey into photography was to ask these simple composition questions. The same can be said of a teacher just starting to take steps toward a more personalized classroom environment. Over time, you will move beyond simply “filling the classroom frame,” but for now, just start composing. For more personalized learning resources, check out a playlist building guide below.